The inaugural ACOSS Media and Communications Forum has kicked off the ACOSS 2011 National Conference in Melbourne - and twitter was the word of the day! The inaugural ACOSS Media and Communications Forum has kicked off the ACOSS 2011 National Conference in Melbourne – and twitter was the word of the day! The audience of over 100 communications professionals from across the Social and Community Sector demonstrated the usefulness of twitter to share highlights, insights, questions and links, with hundreds of tweets from the delegates during the forum. In fact twitter was both the topic of discussion and the medium which facilitated it, as many of the presentations focused on the increasingly important role twitter and social media play in the communication strategies of Not for Profit organisations. So many tweets came out of the forum that the #ACOSS2011 hashtag was picked up as one of the top twitter trends in Australia, according to Trends Map. 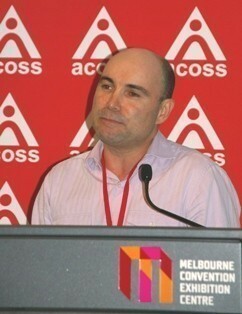 Opening the forum, ACOSS Media Communications Officer and forum organiser Fernando de Freitas says the true test of any society is how it treats its most disadvantaged. He says amid increasing inequality in Australia, the sector has to fight for government contracts and is expected to do more with less. He says welfare, like multiculturalism, has become a dirty word for many – something to be expunged. He says the aim of the forum was to look at how those engaged in media and communications in the sector can turn this around, to tell the stories of the disadvantaged and marginalised. He said they need to show that social and community services sector is the glue that keeps Australian society together. Pro Bono Australia is the official media partner of the 2011 ACOSS National Conference. Follow all the conference news here. 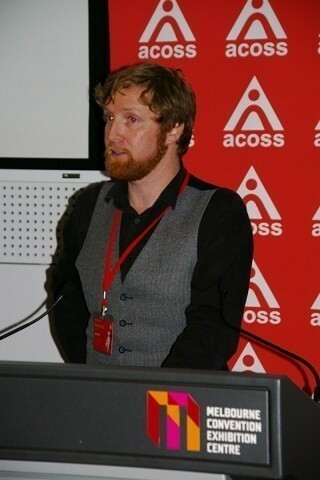 Follow the conversation on twitter via the #ACOSS2011 hashtag. Melbourne based media company Grit Media filmed the forum, and footage will be available on the Grit Media website.